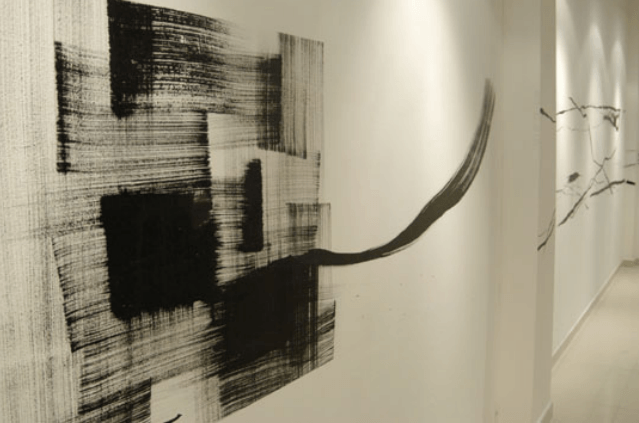 log:one03 is a collection of abstract paintings in Chinese ink produced over a two-year period and exhibited as a multimedia presentation of scrolls, journals, wall paintings, and video installations. A documentation of events and observations, log:one03 is Yeo Shih Yun’s personal diary, recorded from 2001 to 2003 across San Francisco and Singapore. 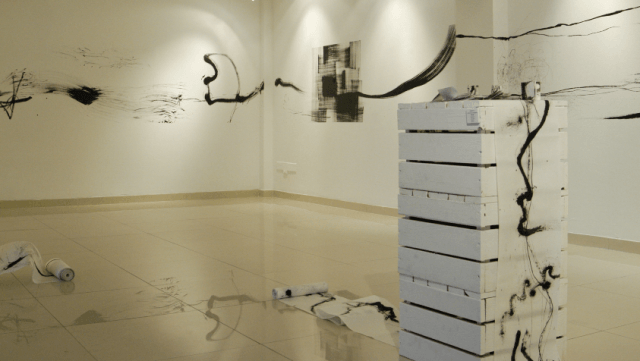 To add multiplicity to the documentation, the artist looked beyond the conventional medium of paper and extended her collection of scrolls and journals to include wall paintings and video installations. 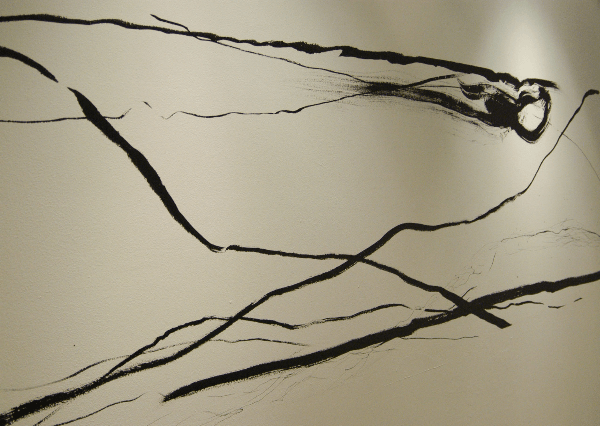 With the goal of uncovering the subconscious mind, she chose to document her experiences and emotions through every rip, mark, and splatter of ink using Chinese ink on Sumi paper scrolls, creating 16mm films and even painting directly on the walls. Each brush stroke was executed and instinctively and spontaneously - without the constraints of a limited artistic vocabulary - creating works of absolute freedom and honesty. Only certain rules govern the works, for instance, she would paint a section of the Sumi paper scroll every day in her studio and record the date and time. “To me, time is fleeting and every moment is temporal and unique. I hold a desire to capture the ephemeral quality of things around me using the most raw and direct ways,” explains the artist. Yeo Shih Yun seeks to capture that which cannot be captured. Her art tracks, documents, questions, investigates, challenges, and “freezes” time. She experimented with different mediums and used non-traditional tools like roller-blades to capture marks on paper; the start of the work was when the first mark was made and the end was when no more ink can be transferred to the paper. The work thus captures a moment that cannot be repeated.